Our friends over at Thrive Market wrote an amazing article about our pinole and the impact it’s having on your breakfast. 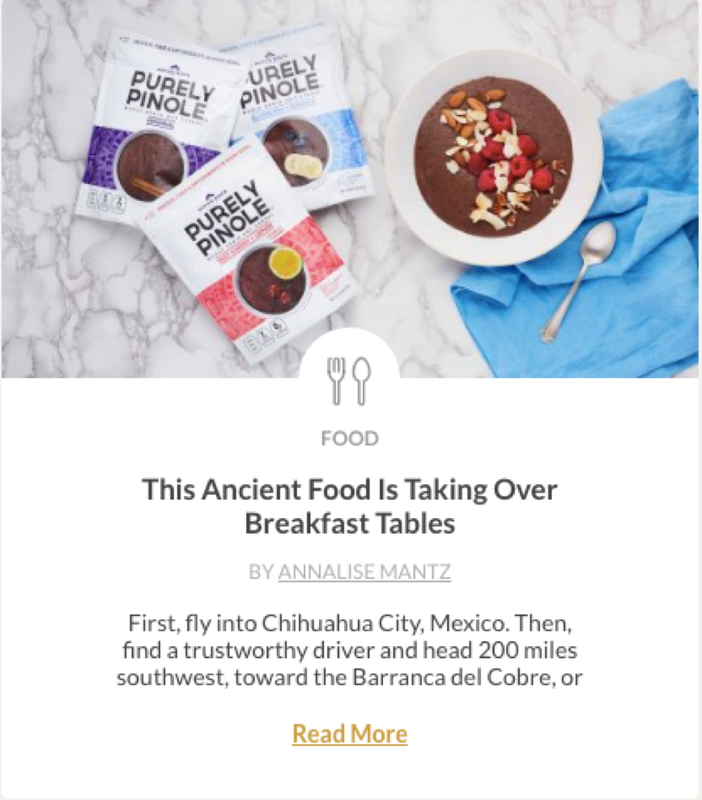 Dating back centuries, the Tarahumara people of Mexico have been consuming pinole from the very beginning. These men and women have running in their blood and have the ability to run for several hundred miles every day. Researchers believe that their nutrition is the biggest factor of their endurance but also for their absence of chronic illnesses. Now, you don’t have to travel hundreds of miles to rural areas to find this same pinole, because we brought it here for you! With three delicious and unique flavors, you’re sure to find your favorite.